Find Honest Answers to Your Immigration Questions. Are you currently facing an immigration issue? Attorney Jorge Halperin has the knowledge and personal experience required to provide you with real answers to your questions, and guidance throughout your immigration process. 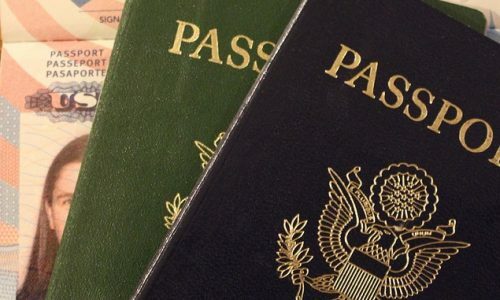 Our unique location near the border gives us the opportunity to work with many clients dealing with visas, deportation, exclusion matters, green cards, work visas and employment or business based immigration. When it comes to matters of immigration, it’s important to understand that there are no immediate solutions and results will take time. Take comfort in knowing that we’ll be by your side, every step of the way. We provide realistic expectations and honest guidance throughout your process. For more information or to schedule a consultation, call Attorney Jorge Halperin at 619-709-3187. Deportation defense: For those facing the threat of deportation, we will do everything in our power to protect your rights and fight the legal battle for you. Family: If you are a foreign national, you may qualify to apply for a U.S. green card through family members. Citizenship and naturalization: Foreign nationals who are permanent residents can become a U.S. citizen through naturalization. Business and employment: We can assist you with acquiring a temporary work visa, investor visa, or permanent green card through an employer. If you’re currently facing an issue related to immigration, get in touch with Attorney Jorge Halperin. We are bilingual, are equipped with first hand immigration experience, and have nearly 30 years of professional legal experience. Contact us today to get started. If you’re currently facing an issue related to immigration, get in touch with Attorney Jorge Halperin. We are bilingual, are equipped with first hand immigration experience, and have nearly 30 years of professional legal experience. Contact us today to get started. Call us at 619-709-3187 for more details.